AlgomaTrad Presents the Pierre Schryer Trio on Tuesday, October 30, 7:30pm at the Old Town Hall in Richards Landing. The Pierre Schryer Trio is a phenomenal group of Celtic and World musicians from Canada. 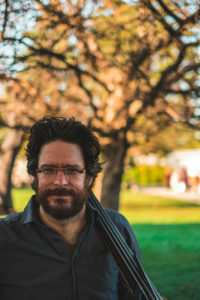 The group features Franco-Ontarian fiddler Pierre Schryer, London, ON double bassist Joseph Phillips, and guitarist Adam Dobres from British Columbia. (Click on a name or photo to see a full biography of Pierre, Adam, or Joe.) Tickets are available on-line HERE, or can be purchased at the Island Market in Richards Landing. A tour de force of versatility, fine musicianship and technical dexterity, this trio brings together three diverse and successful music careers laden with JUNO,Canadian Folk Music, Western Canadian Music, and Grammy awards and nominations. Their first connections as a trio was on Pierre’s 2008 recording project “Mélange”. 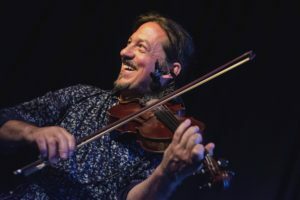 Local AlgomaTrad concert goers will remember Adam as the superb guitarist who performed with Pierre last year with Irish accordionist Dermot Byrne as part of the Two Worlds United Tour. You can see a clip of that concert HERE. 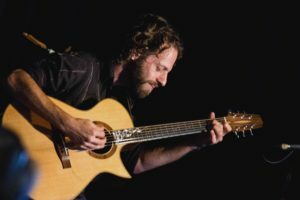 Joseph Phillips is no stranger to these parts – his huge musical presence has graced the AlgomaTrad Staff Concert stage for several years now.